Oftentimes the task of having a diabetic pet can seem overwhelming. You have to give insulin injections at particular times, buy special food, and monitor the blood glucose… The list goes on. You think, “Seriously? You want me to brush my pet’s teeth, too?!? !” Well, yes! 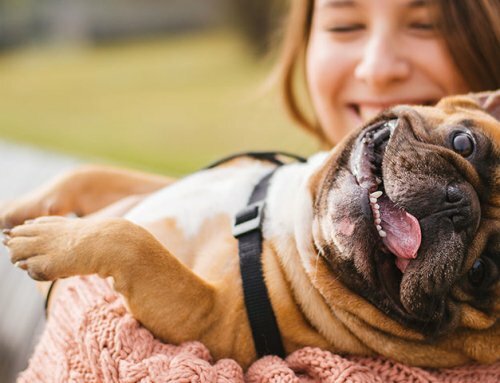 It is important to care for your diabetic pet’s teeth for 2 big reasons: Infection of any cause can lead to insulin resistance, and oral infection is common in middle age and older dogs. Secondly, oral pain can affect how well a pet eats. 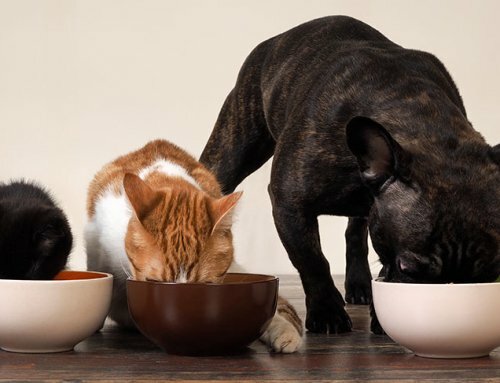 It is important that diabetic pets eat normally. Even if the diabetes is well regulated, a bad tooth can decrease the amount a pet eats. Broken teeth, resorptive lesions and gingivitis can cause significant oral pain. 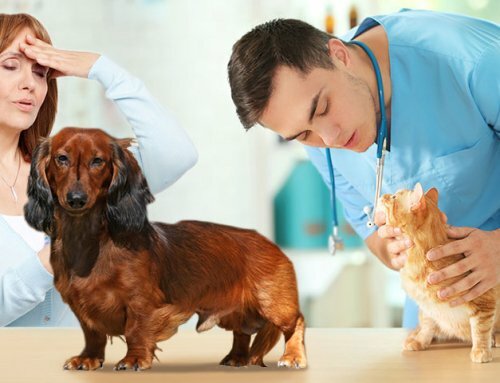 Be sure to specifically ask your veterinarian if your pet needs a dental cleaning. 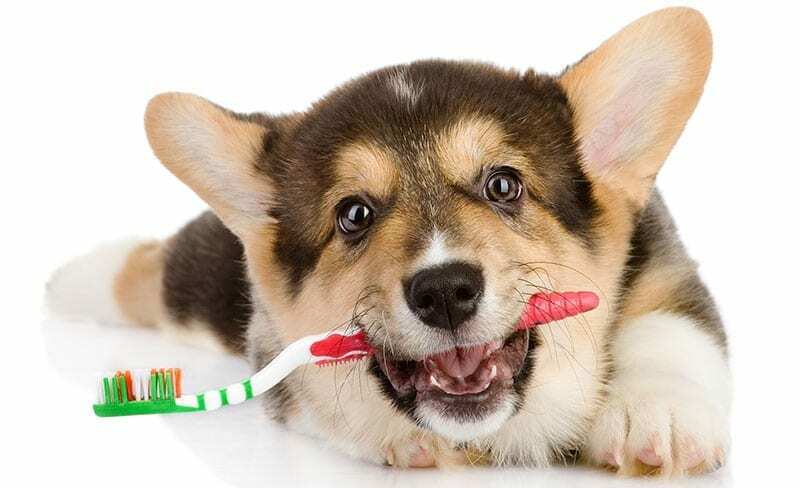 Learning how to brush your pet’s teeth may improve your pet’s quality of life and save you hundred of dollars in dental cleanings. Years ago, I had a friend whose father was a dentist. He had a sign on the wall, “Only floss the ones you want to keep.” Of course we can’t teach our pets how to brush, but we can do it for them. Hopefully these tips will help you succeed! Brush your pet’s teeth when you pet is tuckered out. For a dog this means after a long walk. For a cat, perhaps after a play session. When your pet is tired, there will likely be less fussing and resistance. 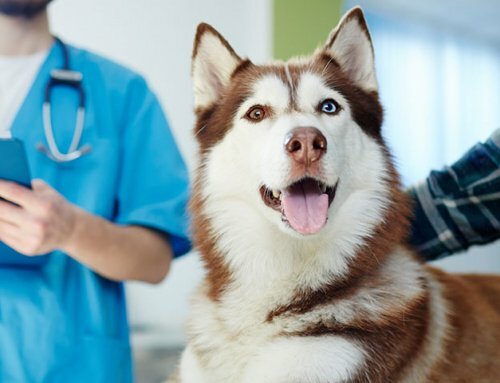 Reward your pet after brushing the teeth. Perhaps give a Greenies treat after brushing. Pets are smart. They understand routines. Find the flavor of toothpaste your pet likes best. Of course, stick to a veterinary flavor. Pets don’t typically like the same flavors that we people enjoy. Popular flavors include beef, chicken, malt, and vanilla. Work your way up to the toothbrush gradually. Your older pet might think you’ve lost your marbles if you suddenly put a toothbrush in his mouth. Initially let your pet lick the toothpaste off your finger. Then rub it on his gums with your finger. Perhaps then advance to a piece of gauze or a finger brush. After a few weeks, try a small soft child’s toothbrush. There are even small toothbrushes for cats. Brush the outside of the teeth. The tartar in dog and cat mouths tends to form on the outside of the teeth, particularly on the upper arcade. 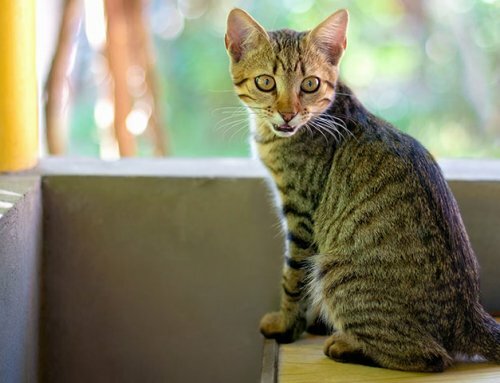 Pet’s don’t form much tartar on the inside of the teeth along the tongue. Concentrate your efforts on the upper arcade and on the outside of the teeth. Use chew toys and dental treats. 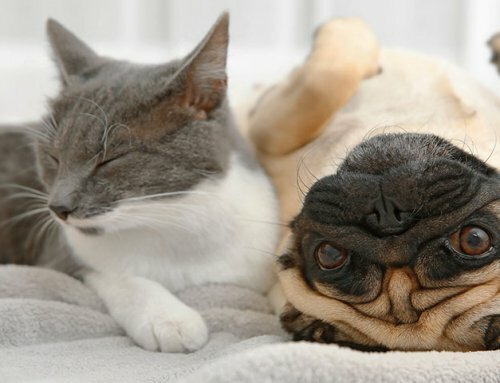 Your pet can be blissfully unaware that you are improving his oral health.